This is definitely one update a lot of Gmail app users have been waiting for. Now you will be able to edit some of your Gmail's basic information directly from the Android mobile app without having to use a desktop client. With the latest version of Gmail app which was recently released, you will now be able to edit your Gmail password, profile information, privacy, security settings and many more directly from the app. 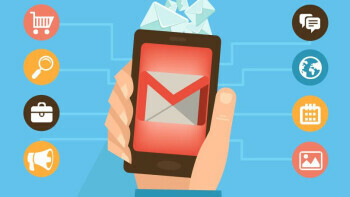 This will take away all the stress and hassle of having to visit a desktop client as basic changes can now be done to your Gmail account directly from the app on your Android phone. To access this new options, the first thing you need to do is to update your Gmail app to the latest version by visiting Google play store or clicking on the link below. Click on the menu button at the top right and go to settings, select the email account you want to access and click on "my account". The Gmail app update also brings an overhaul to swipe actions. When you swipe to archive or delete an email, you will see an "undo" option at the bottom.